It’s called the Better Back to School Brigade. Here’s our advice for week 3: Detoxifying the School Environment! Back-to-school is always an exciting time for students and not surprisingly, marketing companies sure know how to play on insecurities and back-to-school nerves in order to sell their products. Many companies send the message that using their products will make you more attractive and therefore desirable or popular. One such example is deodorant or antiperspirant. Aluminum: Aluminum-based compounds are the active ingredient in antiperspirants and work by blocking sweat glands. These compounds may be absorbed by the skin, causing changes in the estrogen receptors of breast cells and potentially increasing your risk of developing breast cancer. Parabens: Parabens are a class of artificial preservatives that mimic estrogen in the body and can potentially promote the growth of breast cancer cells. Propylene Glycol: Propylene Glyocol is a humectant that keeps substances from drying out and a neurotoxin known to cause dermatitis (skin inflammation), kidney damage and liver damage. TEA and DEA: TEA and DEA are chemicals adjust the pH of skin and could be toxic over long periods of time as they have been implicated in liver and kidney damage as well as allergic reactions. Triclosan: Triclosan is an artificial antimicrobial agent commonly used in “antibacterial” products that can cause skin irritation, dermatitis, disrupt the endocrine (hormone) system and could lead to antibiotic resistance in some bacterial strains. FD&C colours: Artificial or synthetic colours could be derived from coal tar and have potentially carcinogenic and allergenic properties. Talc: Talc or hydrous magnesium silicate is used in personal care products as an absorbent and is carcinogenic if it contains asbestiform fibers. Before buying a product read the labels to check for those nasty ingredients. Consult the Environmental Working Group’s Skin Deep Cosmetic Database for ratings on common products. The higher the number, the nastier the ingredients. Review: Not bad but doesn’t work well if you bike to school or are doing lots of physical activity. Works best in tandem with something that will absorb sweat like Lush’s coconut deodorant powder. Review: The moisture-absorbing mixture includes tapioca, cornstarch and magnesium carbonate so there’s no nasty chemicals in here. 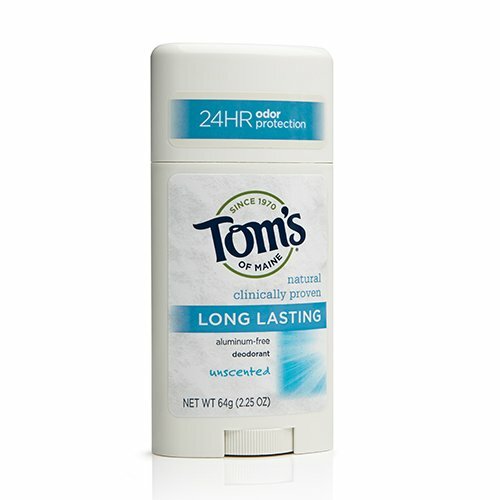 Dust a little on after applying crystal stick deodorant and you’re good to go! I also found that you need to re-apply throughout the day if you’re doing lots of physical activity. Review: One of my favourites. 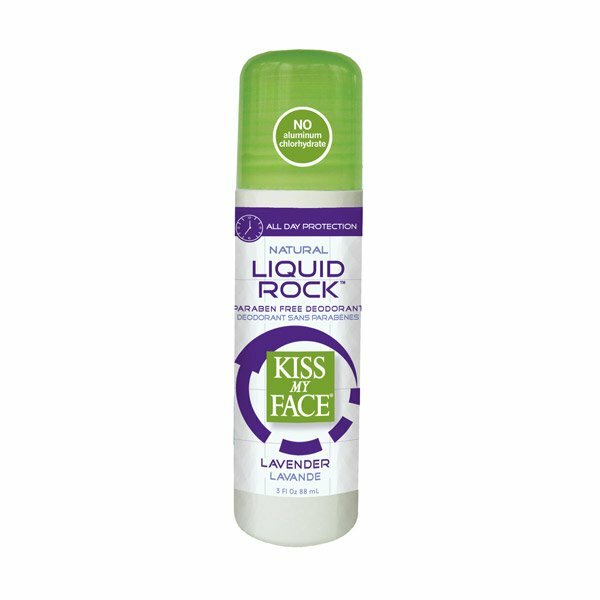 It smells wonderful and really works! Review: Marginal. If you aren’t too active, it can work. Usually I find that I need to reapply during the day. Review: I would love to say this one is magic but it’s not… It work pretty well but I find that it quits about 3pm. The one advantage (besides buying a product made in Calgary) is that it does not seem to stain my white shirts! 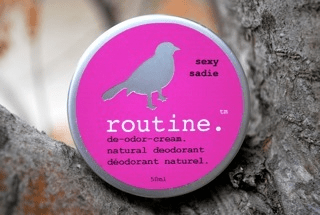 Review: I would rate this one the same as the Rocky Mountain Soap deodorant. You could also make your own deodorant if you’re the DIY kind! A quick google search will get you lots of recipes to try out and experiment with. Here’s a local company that does DIY workshops! Check back on the Queen of Green’s Facebook page or blog for more information about the Better Back to School Brigade. Also, don’t forget to enter this week’s draw for some awesome swag from Terra20 including a beautiful set of House of Marley Headphones, a Matt & Nat Ipad Case, an Ecojot Notebook and a set of Barefoot Venus Lip Fable lip glosses, all valued at over $300!